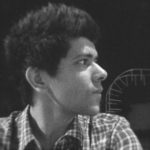 Famous French bakery Paul opens its first cafe in India. Here’s what you must try. Looking for your next luxury indulgence? Here’s something that just rode down. 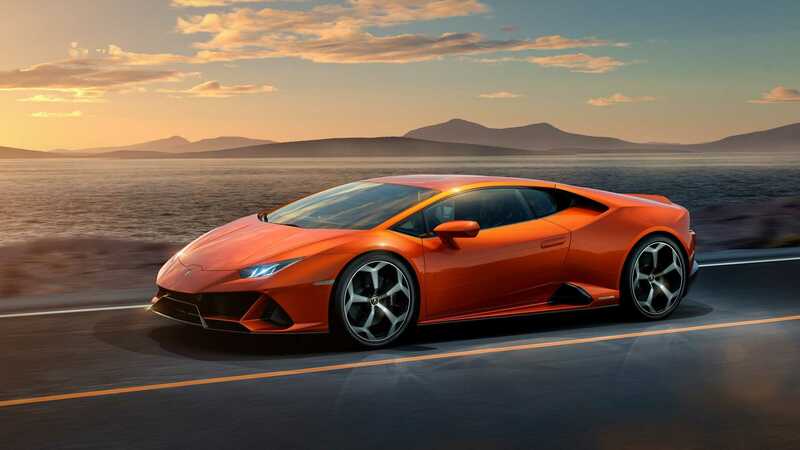 The all-new Lamborghini Huracan Evo is available for you to splurge on here in India, just two months after its global launch. True to its name, the EVO is a symphony of sophisticated evolution, a result of fine-tuning and consolidating existing features and performance of the Huracán and combining it with new solutions in efficiency and design. What’s new? All the systems controlling the driving dynamics have gotten updated, while new technologies have been implemented to guarantee maximum performance. There’s also a new, clever, future-predicting on-board computer – the Lamborghini Dinamica Veicolo Integrata (LDVI) can tell how humans are pulling reins with its intuitive, centralised controller capable of interpreting the driver’s intentions and seamlessly adapting the vehicle’s behavior to them. 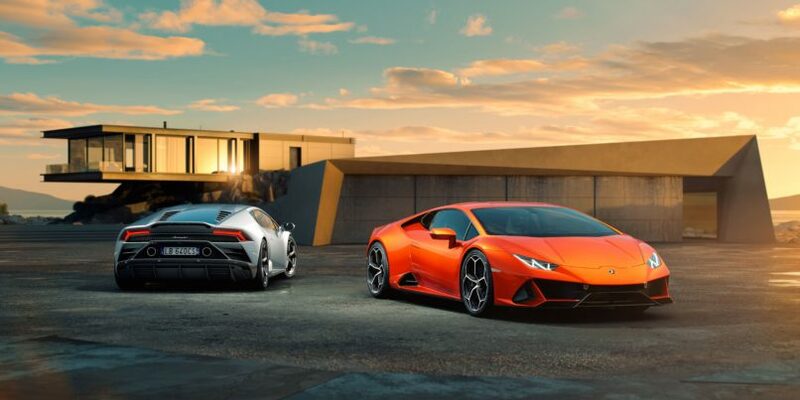 The design of the Huracán EVO does not present a radical change in the original iconic shape and proportions, rather represents a natural evolution with sophisticated improvements in aerodynamics. The front splitter creates a double airway underneath the body, and new flaps allow for additional aerodynamic load, five times higher! There’s a suspended ducktail spoiler, which produces massive downforce, five times higher than the previous Huracán model. It presses the vehicle downwards for an even smoother driving experience when braking and accelerating, as well as cornering. 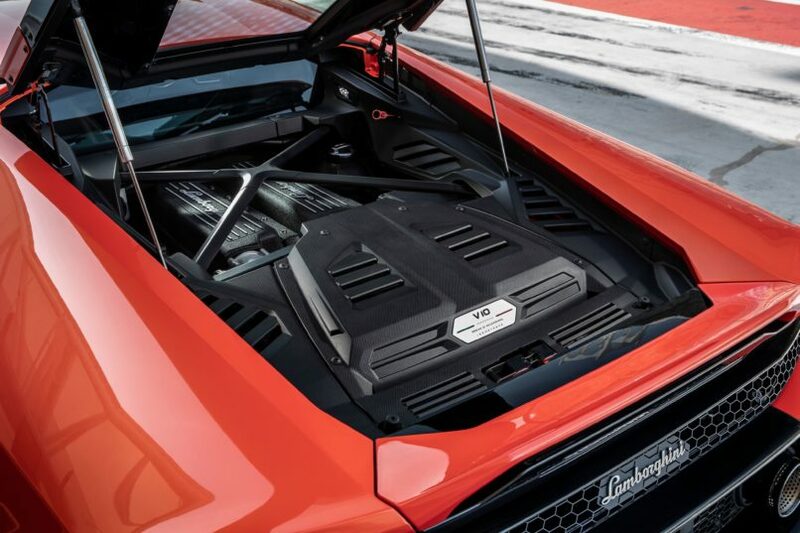 Splitting the air more sharply has given Lamborghini all the liberty it needed to increase the Huracán Evo’s power output. The naturally aspirated 5.2-litre V10 now matches the Huracán Performante’s total of 631bhp and 600Nm. That’s enough to boot it from 0-100kph in under three seconds, and on to 200kph in nine seconds flat. Lamborghini claims 325 kph. 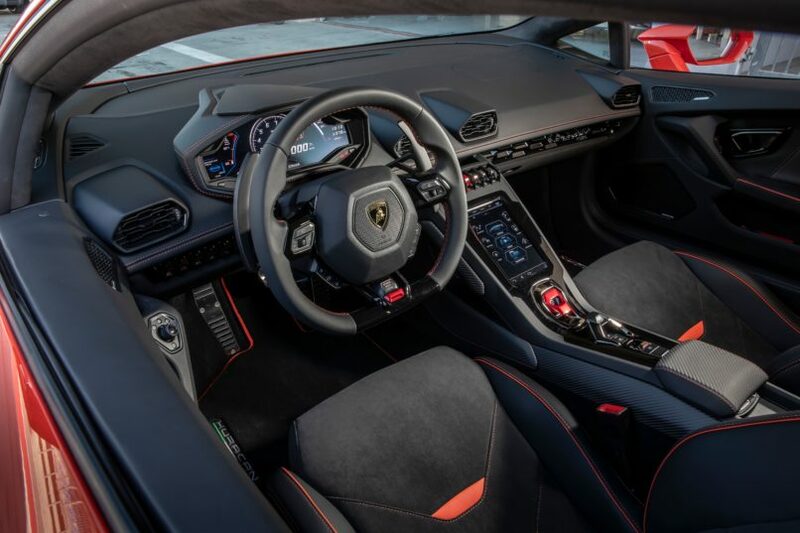 The interior perfectly mirrors the evolutionary design of the Huracán EVO. The cockpit has replaced traditional buttons with a cutting-edge 8.4” touchscreen. It’s as easy as using your phone, so keep the key safe and locked up. The new HMI (human-machine interface) is the ultimate expression of the EVO’s natural and technological evolution. A simple tap of your finger controls all driving dynamics, manages entertainment (Apple CarPlay integrated) functions, receives real-time information on traffic, and adapts the cockpit lights to the current driving mode. The exclusive interior finishes, stemming from authentic Italian design, are made with the finest-quality materials: The upholstery is Alcantara leather, for the first time Carbon Skin, an innovative carbon fibre material exclusively available with Lamborghini. All these details make the on-board experience even more unique and refined. “The all new Huracan EVO is much more agile, light and nimble than its predecessor. 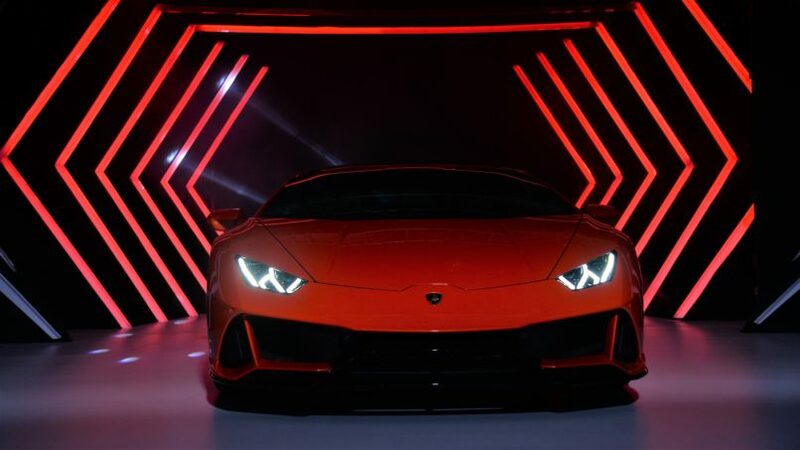 Lamborghini has gone the extra mile to bring out the best in this new supercar both in terms of design dynamics and technology,” says Sharad Agarwal, Head, Lamborghini India. And, at 3.7cr, we believe they have nailed it.